If you want to try your hand at swimming or are about to head out on a family holiday, take the time to purchase swim & dive masks. This is something that will keep water out of your eyes and nose that you can truly take the time to see what's beneath the surface. Often, such masks not only increase your visibility below the water but they will also protect you from experiencing water pressure. Some people's eyes and noses just can't handle being underwater for long periods of time. When looking for swim & dive masks, always think about the person for whom the mask is intended. You wouldn't buy the same mask for a child as you would for an adult. The mask should fit snug around the wearer's face but should not be so tight that it is uncomfortable. Next, think about the type of swimming that will be done. Some people may be underwater quite a bit and may need masks that cover both their eyes and noses whereas others intend on a casual swim and may just need eye swim masks. Swim & dive masks come in a variety of designs. 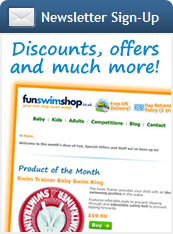 You can find those suited for both boys and girls and those that are made for serious swimmers who want to look intimidating to the competition. Take the time to look around to see which swim & dive masks fit the swimmer. 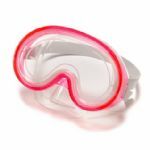 The right swim & dive masks will make swimming and time in the water that much more enjoyable. Stay comfortable when swimming so that you can see everything and truly have the time of your life!